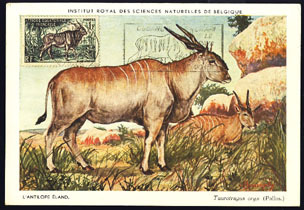 9100 MAX FRENCH EQUATORIAL AFRICA (1957) Giant eland*. Maximum card with special pictorial cancel. Scott No 195, Yvert No 238.